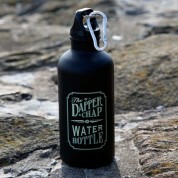 This fashionable water bottle is perfect for helping any male to drink more water. It is ideal for taking to work, to the gym or when he is out and about to have a refreshing drink and saves money on buying fresh bottles of water every day. The leak proof screw top makes it ideal for carrying in a bag. 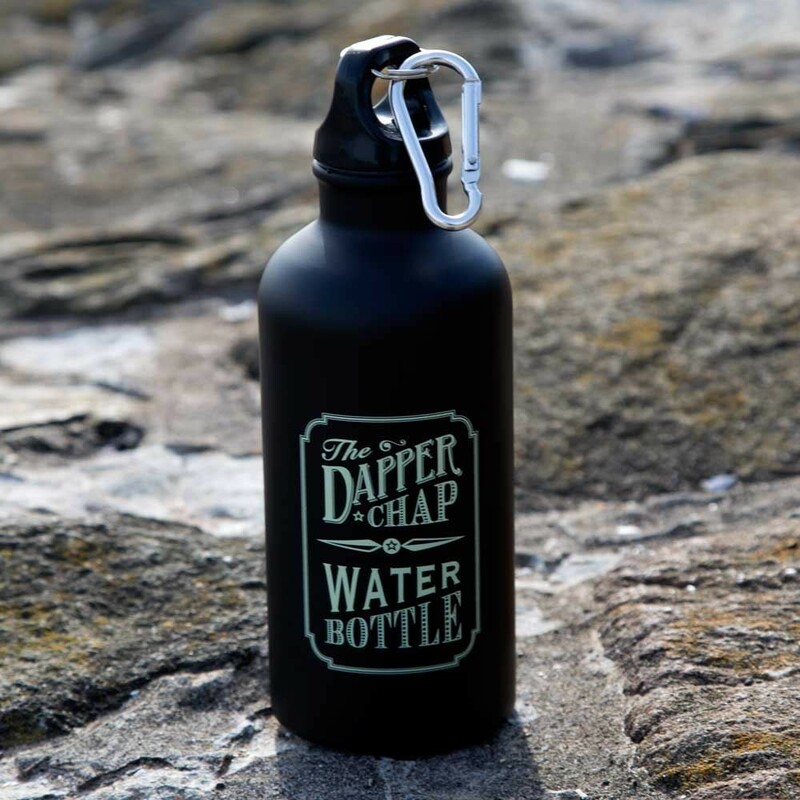 This lightweight bottle comes with a carabiner clip, allowing you to easily attach it to a rucksack, a belt loop or anywhere else. 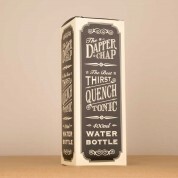 It features a slogan on the front and the back 'The dapper chap water bottle' and is well packaged in a dapper chap box. 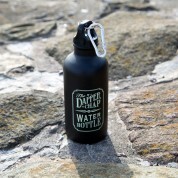 Material:aluminium, storage: holds 400ml of water. Dimensions: approx 6.5cm x 18.5cm.